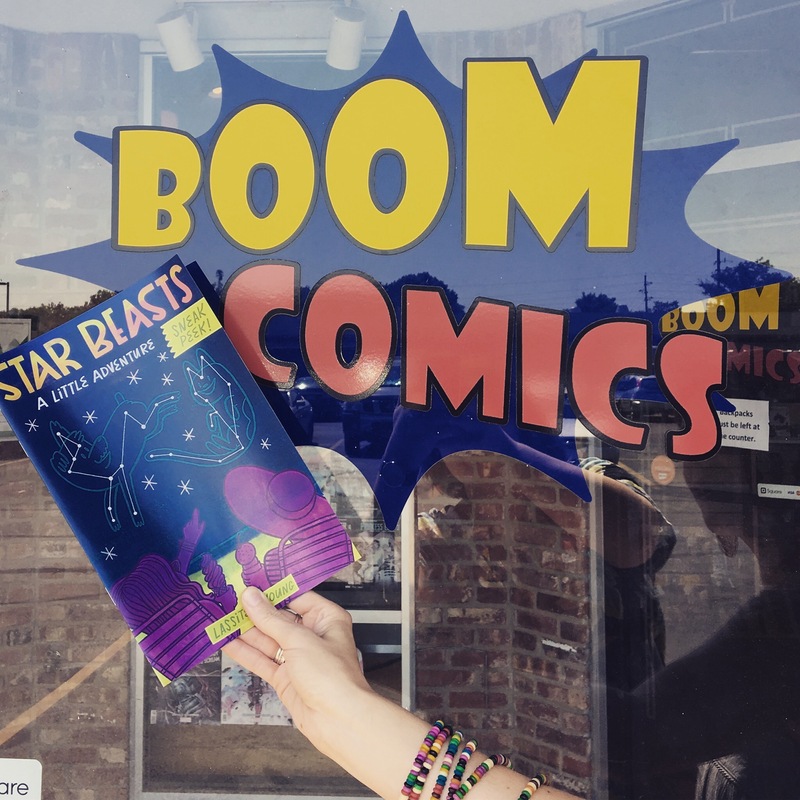 Star Beasts Lands in Lawrence, Kansas! Guess what?!? You can now get your FREE copy of the Star Beasts mini comic in the free state city. 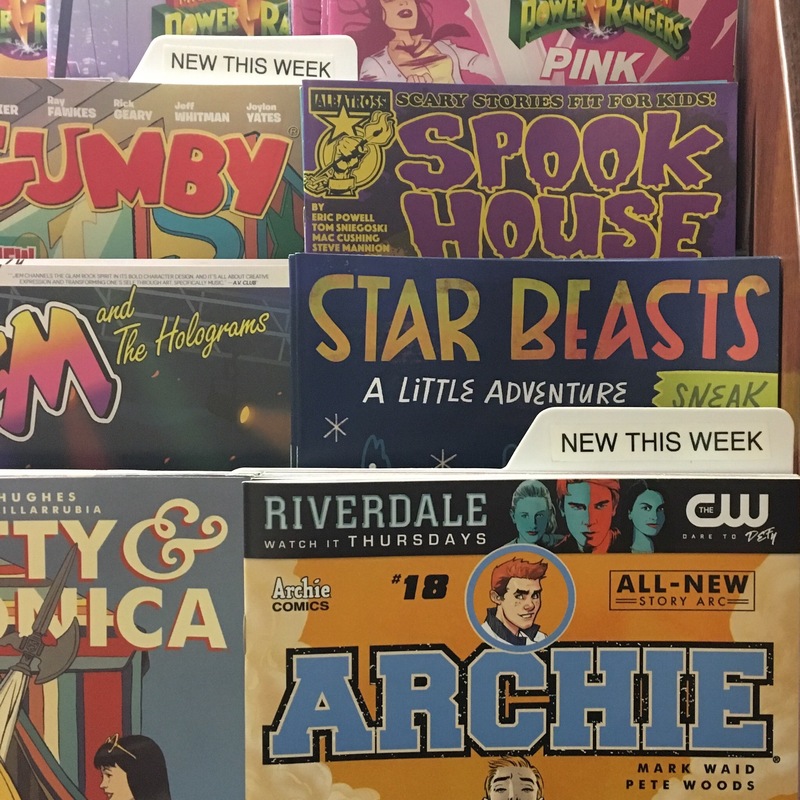 Check out these awesome Lawrence comic book stores that put Star Beasts on their shelves! You’ll find Star Beasts in their kids summer reading section. As you can see Archie is guarding the Condor Crew in the kids section! Thanks Boom and Astrokitty for giving Lawrence Kansas a chance to meet our Crewcreatures! Zayd believes goodwill is good vibes. For this Condor Crewcreature being a DJ and a Zoorb Ambassador is one state of mind. Music is the zig to his zag and Zayd often uses tunes to solve the crew’s space problems. He’s deeply inspired by the cosmos, the stillness of the universe, the controlled chaos of the sun, and of course, the music of the planets. Zayd was chosen by the Zoorb council to represent Earth in all diplomatic matters. He takes this responsibility seriously and is devoted to building creature friendships across the universe. Originally from the Serengeti, Zayd misses his home from time to time, especially his girlfriend Zahra. She’s the Princess of her Dazzle of Zebras and devoted to her creatures. Every night Zayd spins songs out into the stars just to honor her. Eleanor is a talented artist and problem-solver. Her job on the Condor is to help understand the universe through art. Crewcreature La works in several mediums: painting, pottery, drawing, sewing, graphic design, paper mache, bedazzling, and the occasionally performance art. The classical arts aren’t her only talents. She’s also an excellent escape artist. Chosen from the Zoorb Academy for her imaginative thinking skills, Eleanor’s figured out that problem solving isn’t always formulaic. Highly innovative and optimistic, she’s the kind of Crewcreature you need when your space mission goes off the rails. Eleanor loves spending her free time organizing her craft supplies and imagining creative ways to save the universe and her Condor friends. Pretty recognizable as the Captain Bandit we know and love, eh? A little bit squattier, slightly puppyish, maybe. The uniform is a little different… but pretty close to how he ended up! However, I took a little journey to return to this design. I’m not usually one to second-guess my first instinct when it comes to creative ideas, but when I do, I typically come back around to that first thing I came up with in the end. Sometimes, though, it’s a good idea to explore other options in order to feel really great about the final piece. But still, no consensus on a collective favorite. I thought and thought, and after I had finished designing almost all the rest of the characters, I realized that how I was imagining Bandit looking in my head, was basically the way I had drew him at the very beginning. So I went back and found that sketch, made some adjustments, and that’s how Bandit’s look came to be! I don’t know exactly what kind of dog he is… a mix of a few loyal breeds for sure. A mutt – an every-dog if you will. I think it’s fitting for the leader of such a diverse crew.